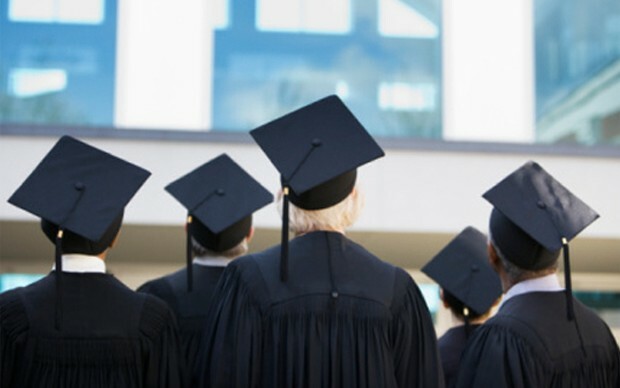 McAllister & Quinn represents numerous private and public colleges and universities located across the United States. We provide higher education consulting in areas such as federal grants, congressional research funding, foundations, public-private and international partnerships and institution-wide strategic projects. Our team is comprised of professionals with extensive backgrounds in the federal government and higher education. Our consulting services focus on increasing the external funding opportunities of a college or university with the goal of providing a high return on investment. The return on investment can include a combination of budget relief, budget enhancement, new programs/partnerships, and/or greater institutional efficiencies. Our approach is proven, as annually we garner millions of dollars or create new initiatives for our clients that have a profound effect on the lives of individuals in their communities or across the nation. As a firm, McAllister & Quinn has developed a reputation for being large enough to provide a full range of consulting services and small enough to give our clients the personalized service that they want and need. Unlike most consultants, we are less focused on memos and meetings, and more focused on tangible results for our clients. The McAllister & Quinn team possesses extensive relationships and personal contacts at all of the federal agencies that fund institutions of higher education. Our clients go from simply reading agency websites and hoping to understand the specifics of the grant application, to meeting face-to-face with decision-makers and hearing first-hand how to best shape a winning grant application. As part of our service, we also organize quarterly grant writing workshops in Washington. These day-long sessions allow faculty members to work one-on-one with Program Officers to improve approaches to grant applications. The McAllister & Quinn grant writing team is comprised of more than 250 experienced professionals who each have specific areas of expertise. Our writers’ backgrounds range from accomplished academics to seasoned professionals – and all have written successful grants throughout their careers. McAllister & Quinn has an experienced group of government relations experts who have worked at the senior levels of Congress and the Executive Branch. We are a bi-partisan firm that values our strong relationships with Congress. In today’s post-earmark world, we focus on our extensive relationships with agency program officers and our deep, hands-on experience submitting competitive federal grants to help our clients obtain funding for research, programs, equipment, and scholarships. For larger research universities and other organizations with substantial investments in sponsored research activities, McAllister & Quinn’s Research Universities & Institutions Practice works with public and private research universities, integrated medical research practices, academic medical centers, and other research-intensive organizations to support, expand, and diversify sponsored research activities. Visit the Research Universities & Institutions Practice page here. Dr. Sally White, Senior Vice President and Leader of the Higher Education Practice at McAllister & Quinn, gave the keynote address at the DU Day of Research, an event that honors Davenport University students and faculty in their pursuit of outstanding research and scholarship. With 21 years as a university researcher and administrator, Dr. White shared about the path that led her to a successful career in academia and shared some of the lessons she learned along the way. She said one of the first and most important building blocks was having good mentors at every stage of her education and career. “A good mentor needs to be an expert in your field of study, they have to be personally and professionally involved in your growth, and they need to be candid,” said Dr. White. “It’s critically important that there is mutual respect between the two so that constructive feedback can be shared and taken in the spirit it was intended,” said Dr. White. In this video excerpt, Dr. White touches on a number of other issues relevant to both researchers and administrators, including the importance of developing good research questions and statistics, as well as the importance of continuous innovation in order to stay relevant. We are a small shop – but have some very talented faculty pursuing research that directly involves our students. McAllister & Quinn has been indispensable in helping us secure grant funds, such as our S-STEM grant, that we simply would not have received without them. M&Q is an exemplary partner for the College. Together we have won new awards–providing scholarship, programmatic and endowment support. I believe the collaboration is effective because the significant expertise M&Q brings to our work is matched by their genuine enthusiasm for the College, it’s faculty and most importantly it’s students. I have worked with McAllister & Quinn for more than 10 years both as a Provost and now a new President, and I can personally attest to the quality of the firm’s work. McAllister & Quinn has a proven track record of delivering new sources of external funding for the colleges that they represent. They are a motivated and results-oriented group that is definitely worth the investment. 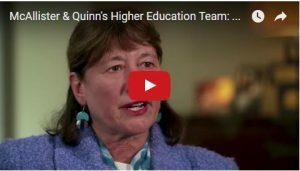 McAllister & Quinn delivers on their promise to amplify every facet of university grant research and writing while engaging faculty and partnering for success. Sister Paula Marie Buley, IHM, President, Rivier University. McAllister & Quinn has really taken the time to understand our university and mission. Their team multiplies our grant seeking efforts with expertise we could never afford. The proof of their skill is in the grants they have helped us secure. This award allows Dean College to integrate career preparation into their curriculum to support student career exploration and career-building. 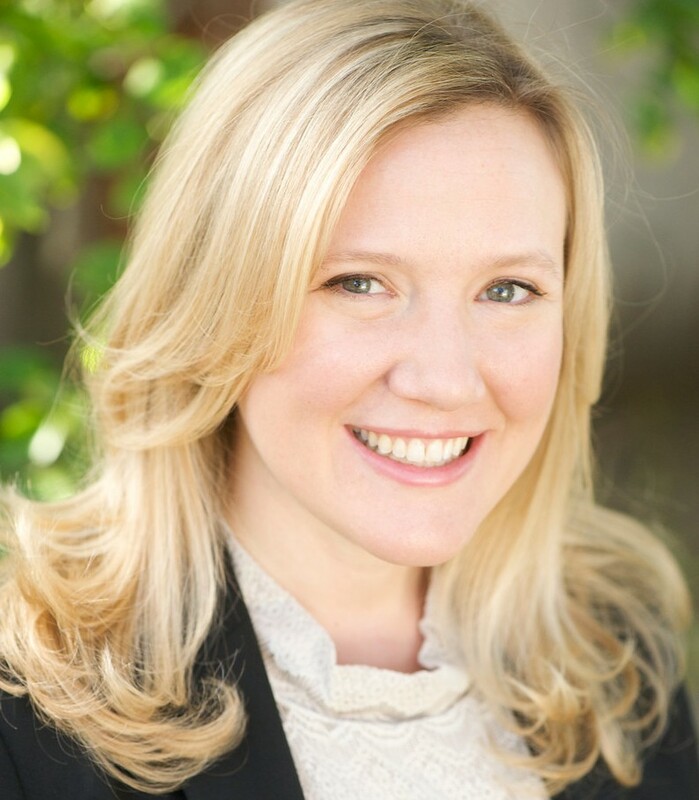 Dr. Jessica C. Gerrity to help oversee the firm’s growing higher education practice. Agnes Scott College ranks #1 on U.S. News & World Report’s list of Most Innovative School, due to SUMMIT program that prepares students to be an effective change agent in a global society. With $2.4 million in funding from a HRSA Nursing Education grant, Rivier University will enhance their budding nursing education program, increase access to community healthcare services, and improve patient outcomes. With $1 million in funding from the National Science Foundation, Lewis University will provide 28 scholarships over 5 years to low-income transfer students pursuing bachelor’s degrees in biological sciences with demonstrated financial need and the academic promise to succeed. $2.7 million in funding for Webster University from the DoEd National Professional Development Program will allow 120 St. Louis area public school teachers to complete the coursework required by Missouri’s Department of Elementary and Secondary Education for English Language Learner (ELL) Certification. Funding from the National Endowment for the Arts (NEA) will support Austin College's "Focalpoint," a series of public photography workshops and participatory public art programs that celebrate the varied cultural traditions of residents in their town. With funding from an NSF Campus Cyberinfrastucture grant, Bucknell University will be able to provide unrestricted high-speed internet access exclusively for conducting research and big data analysis. With funding from an NSF ATE grant, Harford Community College will create an additive manufacturing career pathway for community college and high school students to fill the workforce needs of the growing additive manufacturing field in Northeastern Maryland. 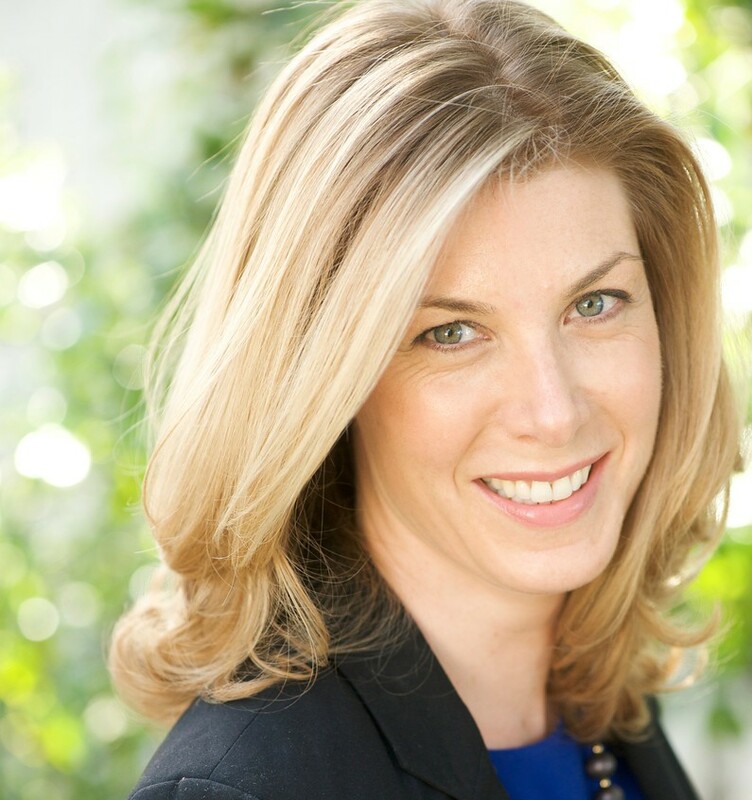 Dr. Sally White, Senior Vice President and Leader of McAllister & Quinn’s Higher Education Practice, talks about the focus on helping small to midsize colleges and universities succeed at grant seeking.